the doctor said " he had no words "
You have such a special way to share reflections and the depth of life. This post was no exception. You always make me slow down, relax, and think. I am blessed each time I visit. <3 That is amazing news with you Mom. (I don't get around to commenting much lately boo) :( I'm happy to know BEAUTIFUL YOU! As I was reading this poem I kept thinking about God and His faithfulness. He never leaves us, never and your mother is a testimony to that promise. Praise to the Great Healer. What joyful news. I'm so happy for your family and I love the fact the doctor was confounded. Perhaps he'll come to know God always has the final say...not statistics. Bless you and your family. A miracle indeed. That is amazing and such wonderful news! Oh Kate that is wonderful news!!! I think the power of prayer is so strong. Keeping you and your family in my thoughts and prayers. Yes, the power of prayer and God's Grace are true blessings. This is such wonderful news about your Mom. Here's to Good Health and Good Friends! 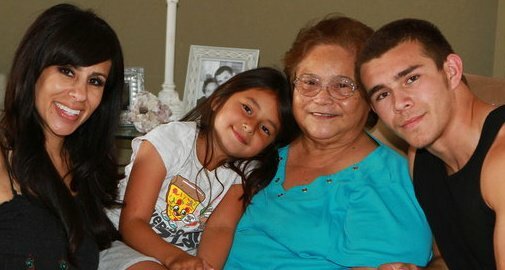 Kate I am so happy for you and your family that your prayers are being answered for your mothers health. I just love her smile and she exhuberates joy in her eyes! I will continue to pray for health and healing. Hugs! Tears are in my eyes right now as I type this. I am SO HAPPY to hear the wonderful news about your sweet mama! Praise God!! I am so thrilled for you Mom. By the Grace of God, the tumor has shrunk, that is the only answer!! I've been praying for you and your Mom and hope your feeling well. Beautiful poem. The news about your mom are fantastic! thanks to God she will be fine! I was wondering about you on Tuesday, you hadn't post for a while so I was going to send you an e-mail, I'm happy to hear everything is OK. SO HAPPY about everything...such a beautiful post! I am very touched. Thank you...but totally not necessary. Good luck with everything---remember---I want to see photos!!! I love your post, I love Kahil Gibran (always a fan of his writing since I was young), and I love your Mama's sweet smile! See you soon my friend. Oh Kate I am SO delighted to hear of the miraculous Healing going on with your Mom! I know that this is answer to Prayer... know that you all have been in our Prayers and thoughts!! That is wonderful news! I am so happy for you and your family! It is amazing what the mind and heart can do to heal the body. I love Khalil Gibran too, I had a passage from The Prophet read at my wedding. Gorgeous pix too, love the coral in that glass vessel and those number signs are to die for! Blessings to you and your sweet family! Blessed are the faithful for he shall answer your prayers. Tears of joy for your Moms good news, and her path to recovering her health fighting off the enemy! Love all your beauty over here, and the display of treasures are like little gems. This wonderful news is a great way to start my day! Keeping you close in my thoughts and prayers! Enjoy your time with your Mama. That makes me so happy! What an absolute blessing! God is so good! I sit here with goosebumps all over and tears in my eyes, knowing I'm not the only one who has prayed for this exact miracle for your Mama. Praise Jesus. And let your best be for your friend...i love that part! your poem had me in tears. your mom is so lucky to have a daughter like you. i am so truly happy that your mom is doing better. thinking of you always. That is so awesome! I haven't been on your blog in awhile, so I had no idea. I am so glad for your mom and your family! HUGS to you all! 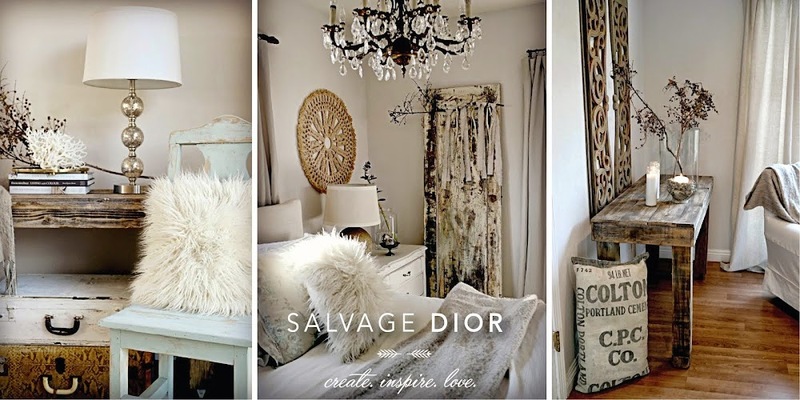 Salvage Dior Giveway " Burlap Luxe "